One of the MCI Motorcoaches that is being fueled with renewable diesel at INL (notice the fuel sticker towards the bottom of the white part of the bus). 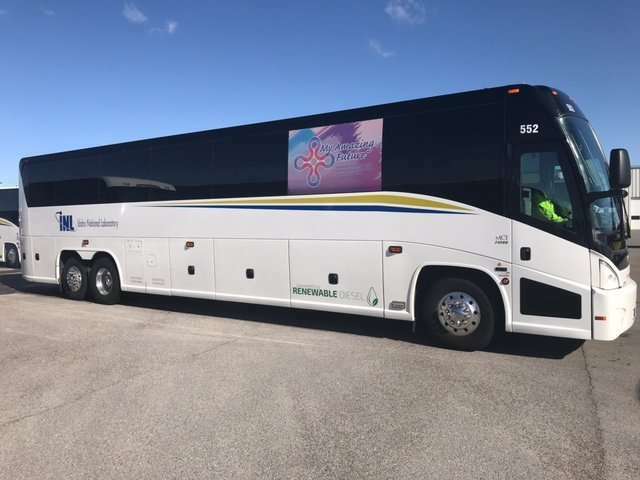 Idaho National Laboratory (INL) operates the U.S Department of Energy’s (DOE) largest bus fleet with 100 commuter buses and is a regional and national leader in implementing environmental fleet practices. INL’s Transportation Services Manager and Yellowstone-Teton Clean Cities board member, Tad Pearson, is tasked with meeting Executive Order 13693. Among other requirements, this Executive Order mandates federal fleets to reduce their greenhouse gas emissions at least 30 percent by the end of FY 2025 with a 2014 baseline. INL Transportation Services Manager Tad Person accepts American Bus Association Green Spirit award at an event in January 2018. Tad has utilized a blend of B20 biodiesel for years, and experimented with a few dual-fuel LNG buses. This unique approach was effective, but he had maxed out on the capacity to reduce emissions year after year. 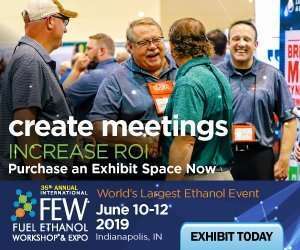 Tad became aware of renewable diesel in late 2016 and he quickly realized the huge greenhouse gas reduction potential and the ease of using the fuel was exactly what he needed to continue to meet EO 13693. Utilizing the Clean Cities network, Tad met with other fleet managers with experience using renewable diesel. This helped streamline his process for implementing the use of renewable diesel and allowed him to quickly setup a feasible procurement process. The buses travel approximately 2.5 million miles a year and in 2017 only 40% of those miles were driven using renewable diesel, yet this use remarkably resulted in a 61% greenhouse gas reduction compared to 2016. Additionally, through a partnership with Bergstrom, Inc. (a prominent cab climate systems company) and Motoro Coach Industries, INL has also installed a “no-idle” battery electric auxiliary power unit (APU) with a solar energy system support on one of their buses, and they intend to install more as results are evaluated. These systems are estimated to further reduce petroleum use and greenhouse gas emissons on the buses. 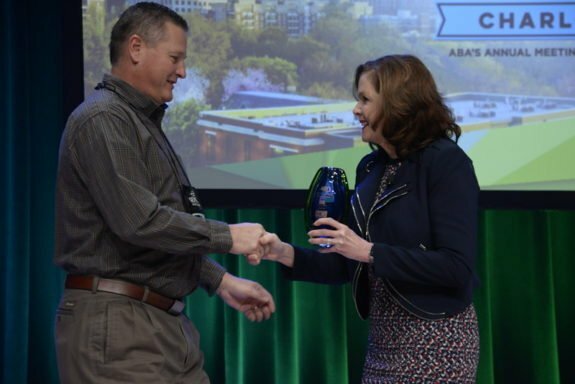 On January 29th, the American Bus Association awarded INL as a winner of the 2018 Green Spirit Award, for their commitment to environmental stewardship. “Idaho National Laboratory is a longstanding stakeholder of Yellowstone-Teton Clean Cities and we are continually impressed by Tad’s willingness to try new strategies and technologies to further reduce GGEs. Tad’s availability to share INL’s successes and challenges is a huge asset to our Coalition stakeholders,” said Alicia Cox, Yellowstone-Teton Clean Cities. Tad is also monitoring the performance of the renewable diesel in a cold weather climate and will hopefully have results to share soon. 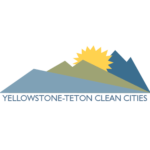 As the sole multi-state designee of the Department of Energy’s Clean Cities program, Yellowstone-Teton Clean Cities (YTCC) functions as Department of Energy’s on-the-ground advocate focused on petroleum-displacement activities in the Greater Yellowstone Region. This DOE affiliation, along with YTCC’s regional standing as a resource and advocate for sustainable and efficient transportation, creates an ideal scenario for YTCC to function as a clean transportation leader within the Greater Yellowstone Community in order to lessen the detrimental impacts of local transportation.